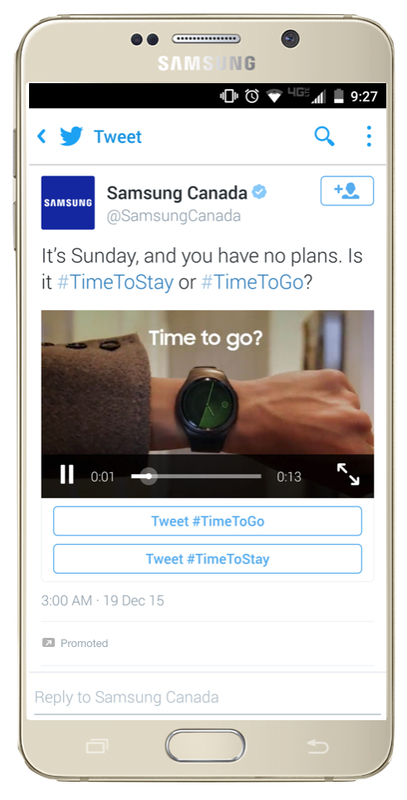 Are Twitter's New 'Conversational Ads' Really Conversational? 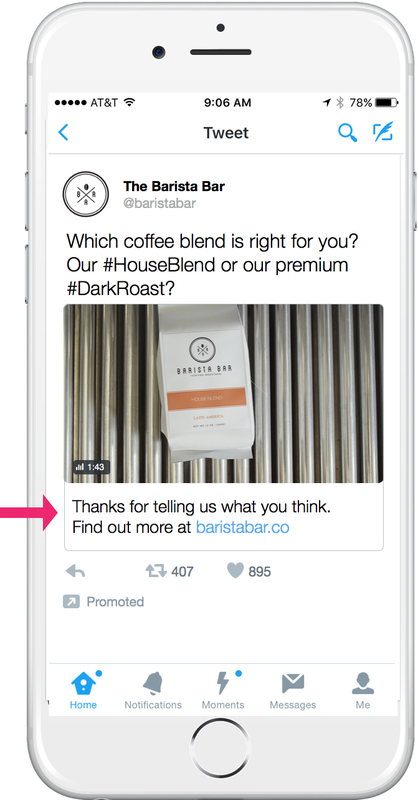 This was my first reaction upon seeing Twitter's latest ad product, called 'Conversational Ads'. The new ad type aims to boost brand discussion on the platform by providing users with a template - sort of like an 'ice breaker' to get the interaction flowing. This starts the conversation - the ad itself seeks to prompt further sharing and on-brand discussion by encouraging users to share their opinion, using a pre-chosen message. "When a call to action button is tapped, the Tweet composer opens with a pre-populated brand message accompanied by the creative and hashtag buttons. The consumer can then personalize the Tweet and share it with his or her followers." It really is like a party game-type tactic, a way to get the conversation moving without requiring too much thought or insight from the user. If coffee's not your thing, you can imagine the same example with your favorite brand or TV show - "Which 'The Force Awakens' character is cooler #Rey or #KyloRen?" If the question's compelling enough, and the user cares passionately enough (or is bored enough) to choose a side, they click their preferred option and share your brand message out to their followers. It doesn't seem like it'll be a highly engaging offering, but used in-line with trending topics (like 'Star Wars') and with clever, creative questions and options, it could generate good results, even if, at first glance, it does seem more likely to lend itself to overly blatant brand efforts. What's more, in receipt of a user selecting one of the hashtag options and sending out a tweet, they'll also get a thank you note from your brand for participating. Their branded response then appears in their tweet timeline, including the original brand message, which encourages others to also pick a response. "Each shared Tweet is powerful because it drives earned media for the brand at no extra cost, resulting in higher ROI. Additionally, research has shown that organic conversation about a brand delivers significant value for advertisers." But is this really 'organic' conversation? I mean, I guess it is, but it seems like this might be mis-appropriating that data slightly, right? Definitely, organic conversation - word-of-mouth - is one of the strongest drivers of brand sentiment and reach there is, especially in social media, but that, you'd think, is based on people talking about your brand unprompted, people mentioning your products and services in amongst their everyday interactions, and this seems a little removed from that type of earned mention. 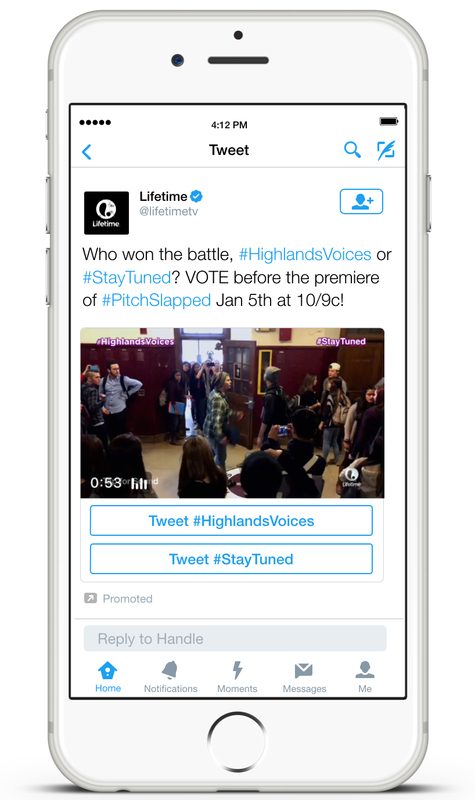 "We're thrilled to join forces with Twitter as a partner to launch the conversational video tool for the upcoming premiere of our new series, 'Pitch Slapped' on January 5th. The Tweet features voting buttons encouraging fans to engage with our creative and is a perfect match for this campaign." In the case of Lifetime the offering makes some sense - you can imagine that a well-timed episode or show specific conversational ad could do well within the wider trending conversation, but neither of the other two examples highlights a significantly compelling use-case, I don't think. In many respects, Conversational Ads seem like a relatively minor addition - done right, they could deliver good results, but as with most automation or artificial-lead engagement options, getting it right is very, very difficult, and it seems more likely that it'll be used in flat, uncreative ways that won't see significant engagement. Even worse, getting it wrong could lead to a massive hashtag fail, similar to the #YourTaxis or #McDStories campaigns in which the hashtags were flipped and used for wide-scale derision. That's probably the biggest risk of this new offering, that the ad could be so blatant and so flat that users could turn against it and make the hashtag/s a thread for criticism - note that you can edit your tweet after clicking on the hashtag option of your choice from the Conversational Ad, so you can alter the message you send out to whatever you wish. In fact, this has already happened - when examining the Samsung example here, you can see that people have responded to the tweet with criticisms of Samsung's products and service, rather than sharing their love or adding their thoughts about the question posed. Essentially, Conversational Ads are another example of Twitter working hard to push new products and innovate quickly in order to stay up with the game and generate more engagement on the platform. Whether prompting people to share their thoughts and add to branded conversation is the way to do that, I'm not sure, but it'll be interesting to see the numbers on Conversational Ads and whether they can be used to generate better reach and 'semi-organic' conversation around campaign-focused messaging.